In 1990 rock music was having what football commentators euphemistically call “a transitional season”. We were still a year away from Metallica’s Black Album, Nirvana’s “Nevermind” and a follow up to Guns ‘n’ Roses’ debut LP. In the UK, Phil Collins, Michael Bolton, the three tenors and George Michael had the best selling albums outside of a swathe of “Greatest Hits” collections from Madonna and Elton John. In the US, Paula Abdul, MC Hammer and Vanilla Ice dominated. It was almost as if we were all too busy watching the Cold War end to worry about quality control in the music charts. The year before, Madonna had courted controversy in a Pepsi advert whilst 1990 would see New Kids on the Block be the latest in a long line of musical acts to sell fizzy drinks, an act which enraged Billy Joel to the point where he couldn’t take it any more. He’s a sensitive soul, bless him. Out of the midst of the glossy gated-drums and sheen of 1990 studio production came an album from a new band that eschewed studio tricks in favour of a back-to-basics approach. In the next six years this band would go on to make five albums of superb quality that straddled the pre-grunge to Britpop period. They would release only four of them, but all four remain much loved by their followers and have a timeless quality to them. This is not necessarily something that people say about other 1990 releases. Michael Bolton’s “Soul Provider”, “Please Hammer, Don’t Hurt ‘Em” and Paula Abdul’s “Forever Your Girl” are infrequently collectively referred to as “timeless classics”. 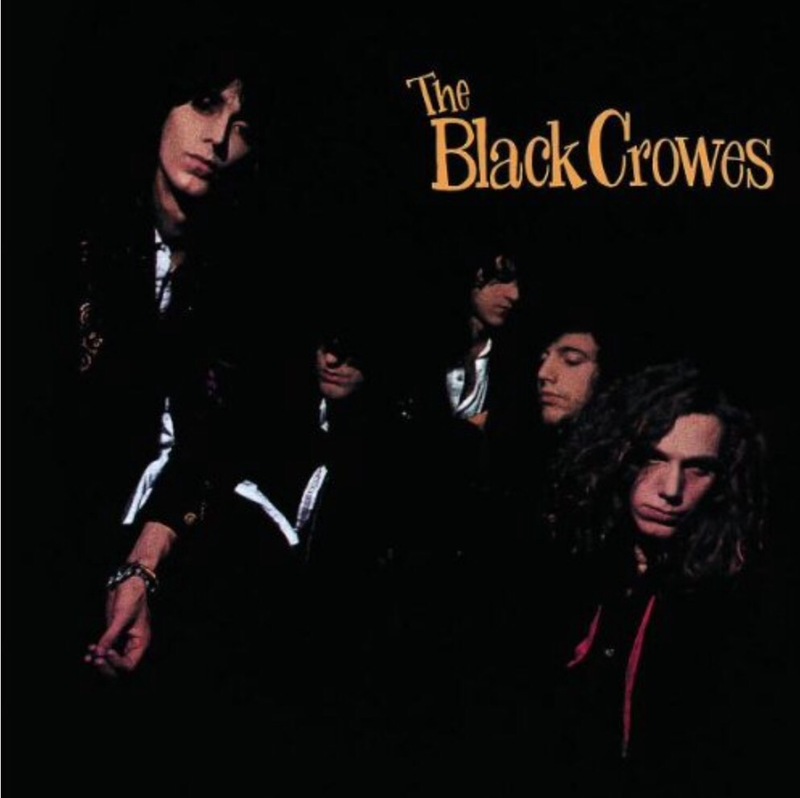 That band came from Marietta, Georgia and after flirting with the name “Mr Crowe’s Garden”, eventually settled on the less poncy “The Black Crowes”. Their debut album was a rough and ready effort that sold millions. The follow up, recorded in just eight days showed an unexpected maturity. The fact is, there are songs on that second album, “The Southern Harmony and Musical Companion” that would have made “Sticky Fingers” and “Let It Bleed” better albums. The third album was scrapped, the fourth, “Amorica” took a year in the studio and nearly broke up the band, whilst being perhaps the Crowes’ lasting masterpiece. Because the albums were all made in the early nineties – when vinyl was being replaced by CDs – all of the albums were printed in increasingly limited runs and are now pretty scarce. Indeed “Three Snakes and One Charm” was only released as a set of 7″ singles, which means a lot of getting up from your chair to turn the records over. It would cost you, on average, £175, and possibly a back injury, to buy and listen to all four albums on vinyl in the second hand market. If you can find them. So it is good news that all four albums have just been remastered and re-released on vinyl for the first time since they were first released. Chris and his younger brother Rich Robinson grew up in the American South. Their dad Stan used to play guitar, and had a folk band called the Appalachians. He had a few songs in the Top 40, including 1959’s “Boom-a-Dip-Dip” for one, which I suspect tells you all you need to know about the hit parade in 1959, in the same way that “Boom-Clap” tells you all about the charts in 2014, or indeed, let’s face it, any year. The family grew up on folk and bluegrass music. Their mum was from Nashville, and used to sing old folk and country songs. Chris Robinson worked as a bartender, a bus boy and construction worker (“the construction job only lasted a day”). So when The Black Crowes made their debut album “$hake Your Moneymaker” with a $5,000 advance, they weren’t looking to shift units or kowtow to the industry. Although the band arose during those heady hair metal filled days, they were keen to disassociate themselves from the herd. “There are many bands from LA who don’t even play on their own records! How can you walk around like a rock star when you’re not even allowed to play on your own album?! How can anyone have such low self esteem as to allow another musician to play for you? How can you live with yourself knowing in your heart you were drinking coffee when another guitarist was doing a solo in your name? As for suggestions that they sounded a little “retro”? The Black Crowes’ reputation for straight talking was enhanced after they were thrown off a support slot with ZZ Top two weeks in to a three month tour by the sponsor, a beer company. Chris Robinson would say every night to the audience as he opened the show, “This is brought to you commercial-free”. The sponsorship contract may have been between ZZ Top and Miller. But Miller took exception to the upstart support band and, according to Robinson, threw The Crowes off the tour in that most eighties / Phil-Collins-approved ways. Soon after, single “She Talks To Angels” became a number 30 US hit and the album took off, going five times platinum. Great writeup. it was good to see Chris back than speaking up! Not easy for a young band too do but I’m sure it sold a few more copies and they knew they had a solid debut so they or didn’t act like they were worried about fallout. Pretty ballsy move when you think of it! I don’t tend to listen to Shake Your Money Maker that much, actually. Tend to listen to the Marc Ford years most of the time. His guitar really added something to the band. Southern Harmony … and Amorica are just about perfect (I’d agree that Amorica is the lasting masterpiece). Great to see more Crowes posts in your blog. I have all the original vinyl (although 3S is a pain to listen across the 7″s) and of course the cd’s. The original records sound pretty good to me. I remember when I first heard the Crowes, it was on a free cassette from Vox Magazine – a live version of Hard To Handle. This quickly led me to investigate the album and then I became a Crowes fan for life. It’s not often I listen to SYMM now, although I do love Sister Luck and especially Seeing Things. Such great songs for such young writers. I didn’t see them live until 1995, missing the High As The Moon tour for reasons lost in the midsts of time … I suspect however (much like everyone else?) my favourites will be covered in your next post – Amorica as the greatest album of the 90’s? Quite possibly …. I first saw the Black Crowes opening up for the McAuley Schenker Group at Hammerjacks, a club in Baltimore, in the spring of 1990. They were really good, but I’d never have thought they would’ve become as big as they did. They just reminded me of what the Southern Rock band Hydra were doing on Capricorn Records back in the early 70s. Haven’t come across Hydra before – will look them up. Spring 1990 must have been a very early show! 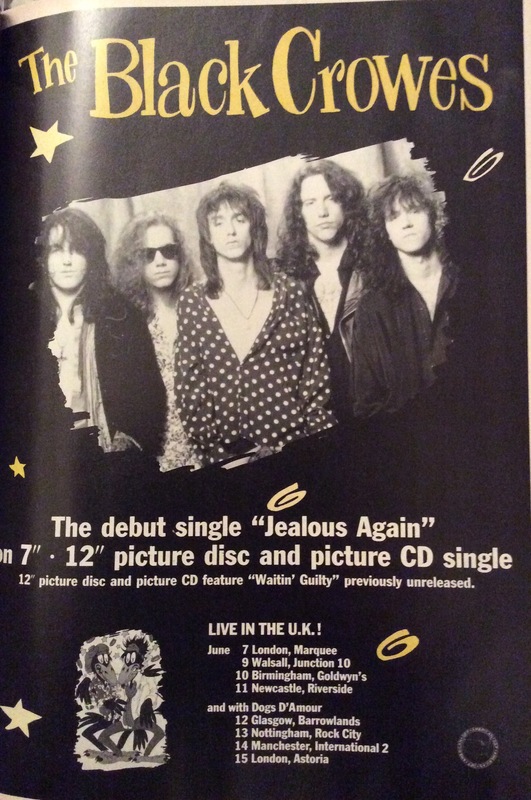 ….I see the Hydra drummer Steve Pace went on to play with Whitford St. Holmes, and then Krokus. Yup, and the bass player, Orville Davis, recorded with Rex and then Starz. He drifted more towards country music by the early 2000s. Incidentally, one of the members of Black Crowes, I forget which but not one of the Robinson Brothers, wore a Kiss logo t-shirt on stage. Bet that didn’t last long for their cred as time went on. Do you know if the scrapped album Is doing the rounds via dodgy bootleg?